Description: A groundcover plant which would be easy to miss if it were not for its noticeable flowers. In ideal areas, at the right time of the spring, this plant can be very prolific. 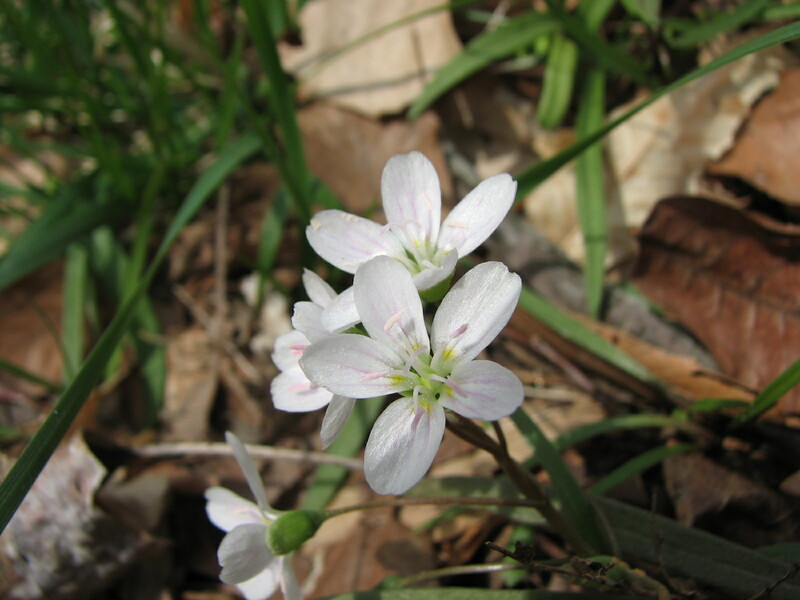 The five petaled flowers are delicate and each petal bears pink streaks. Dig them up to find an edible tuber, much like a small potato. Edibility: The tubers should be washed thoroughly and can be eaten raw or boiled like small potatoes. Other Notes: The Spring Beauty tuber is sometimes refered to as a 'Fairy Potato'.